From old favourites to specialist brews. 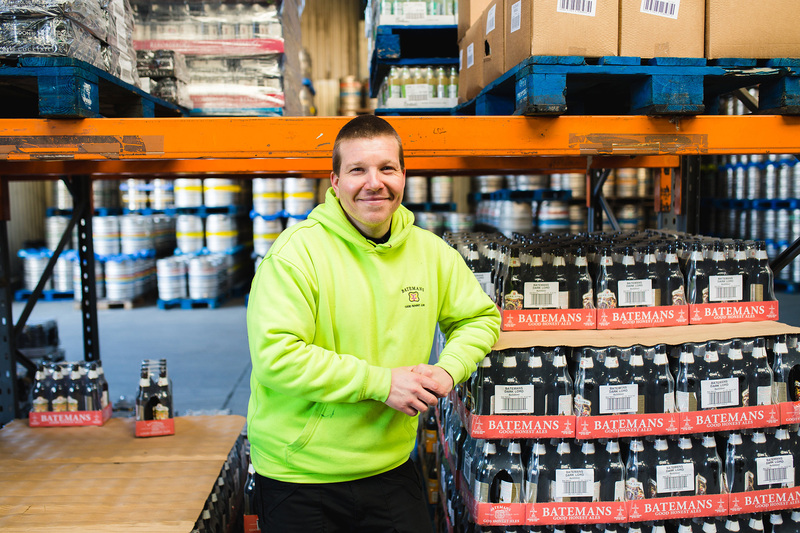 In every one you’ll find the quality, character and flavour you’ve come to expect from Batemans beers. 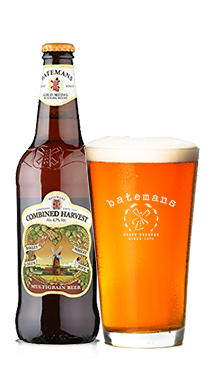 The original multigrain beer – a brewing first from Batemans. This generously flavoured, light bronze beer is brewed with pale barley malts combined with wheat, oats and rye malts, then hopped with Phoenix and Target varieties. It has a tart fruitiness on the nose, smelling of orange and lemon slices and a bready note from the rye. It hits the mouth with a wonderfully quenching flavour full of citrus fruit, rich and chewy malt, and gentle hop resins – followed by a dry, fruity and biscuity finish. There’s nothing ominous about this dark, daring and delicious beer. 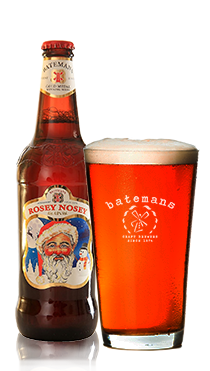 It has a lovely hoppy, bitter-sweet flavour that finishes with a note of hazelnuts. Try it with roast beef or venison. Our wonderfully full-bodied, dark amber Christmas beer. Brewed with pale, crystal and chocolate malts and English Golding and Challenger hops, it’s bursting with a spicy aroma and rich, fruity sultana and raisin flavours. A gift of a festive brew, if we do say so ourselves. The bottled version of our award-winning tawny bitter. With three malts and three hop varieties going into the brew, this copper-coloured beer bursts with aroma and flavour. It has a subtle biscuity and fruity aroma; then peppery hops, ripe fruit and juicy malt fill the mouth, followed by a quenching finish of earthy hops and a dry maltiness. 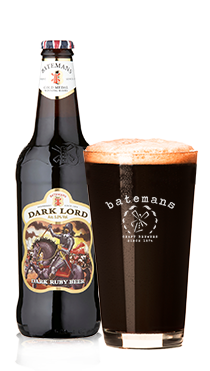 A bold dark-copper beer that rewards its drinkers with big flavours. 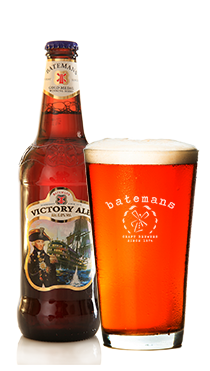 It’s brewed with pale and crystal malts and hopped with English Goldings and American Liberty varieties. This results in a peppery hop and bitter orange aroma, balanced by a fresh bread maltiness; with a flavour dominated by hops and fruit, then a lingering hop bitterness. 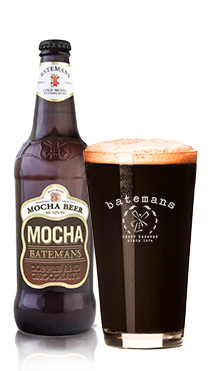 Winner of the Sainsbury’s Great British Beer Hunt, our Mocha is a coffee and chocolate stout sensation. It’s brewed with genuine Arabica coffee, fine Belgian chocolate and locally grown, roasted barley malt. Rich, enticing and well rounded, the coffee and cocoa notes are certain to give your nose and tastebuds a welcome wake-up call. A special limited-edition beer based on a 40-year-old barley wine we discovered in the Brewery cellars. 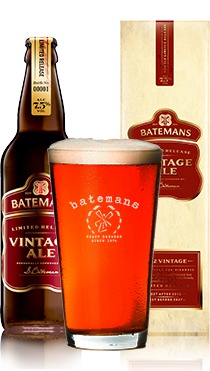 The bottles – which were actually the last ever batch of Batemans BBB – had been ‘laid down’ in the late 1970s by George Bateman, to be enjoyed in April 1981 to celebrate Stuart Bateman’s 21st birthday. But they were forgotten about! The recipe is a blend of malts from Flagon and Tipple barleys and single variety Worcester Golding hops. Having matured in oak, the beer tastes of plums, port, malt, brandy, vanilla and almonds. An ale to be celebrated.